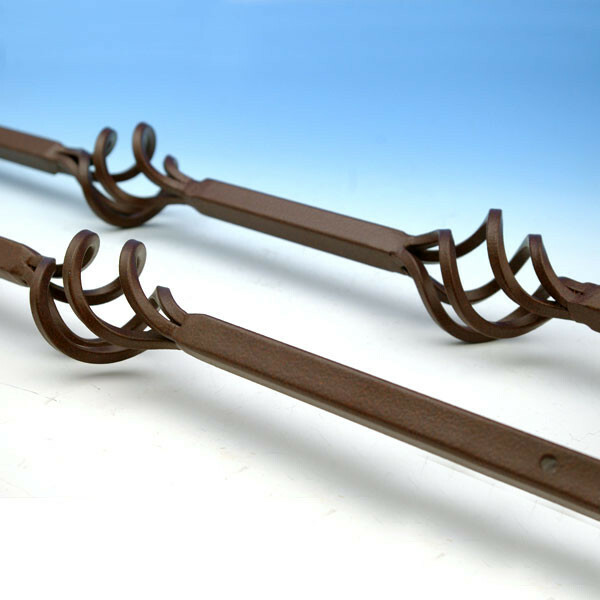 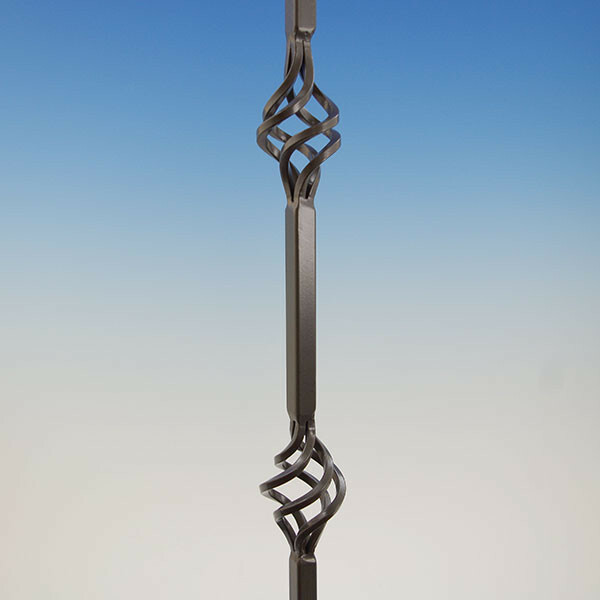 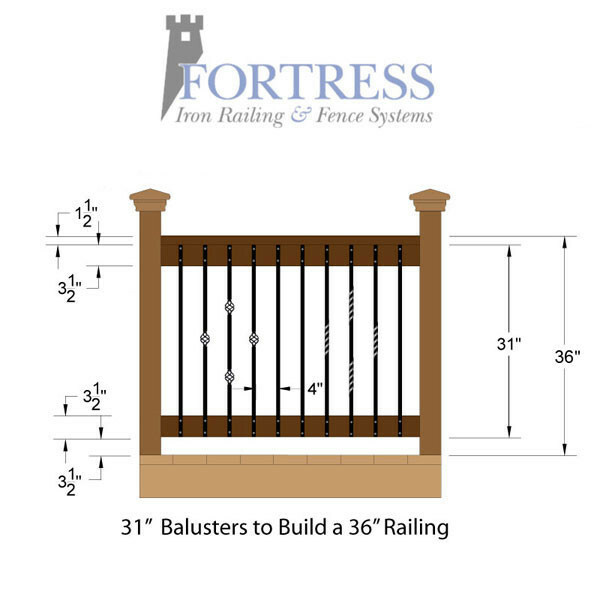 Fortress Iron builds swirling, single and double basket accents into these classic square pickets. 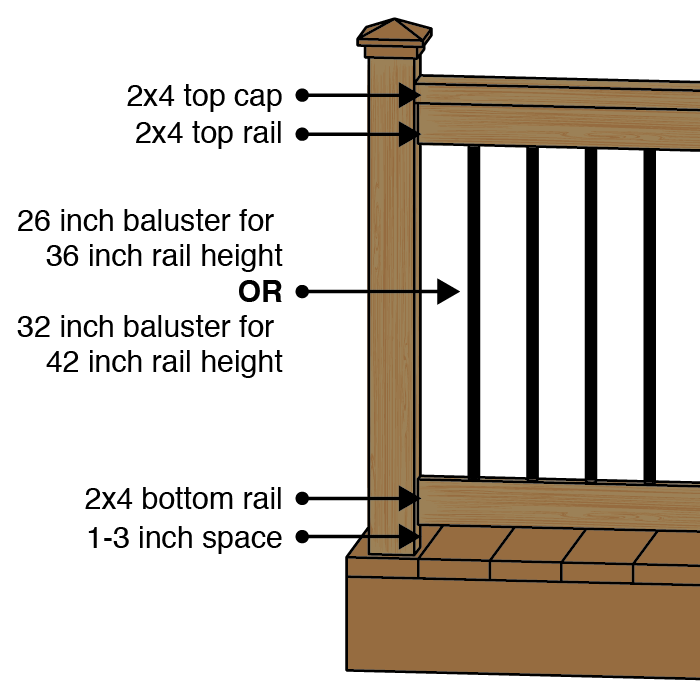 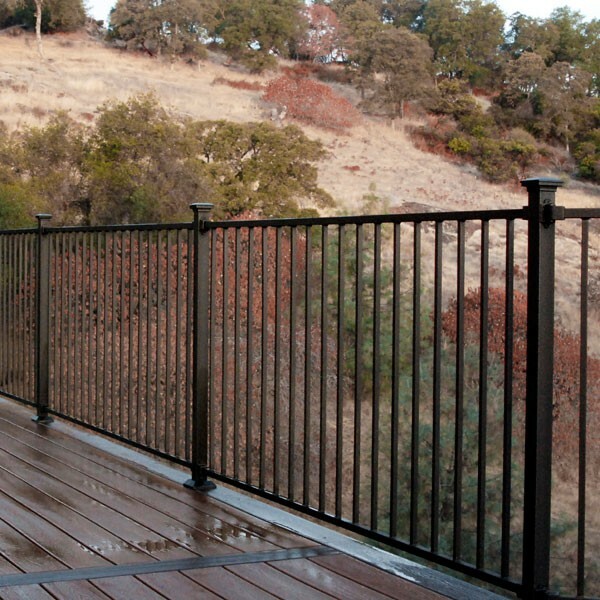 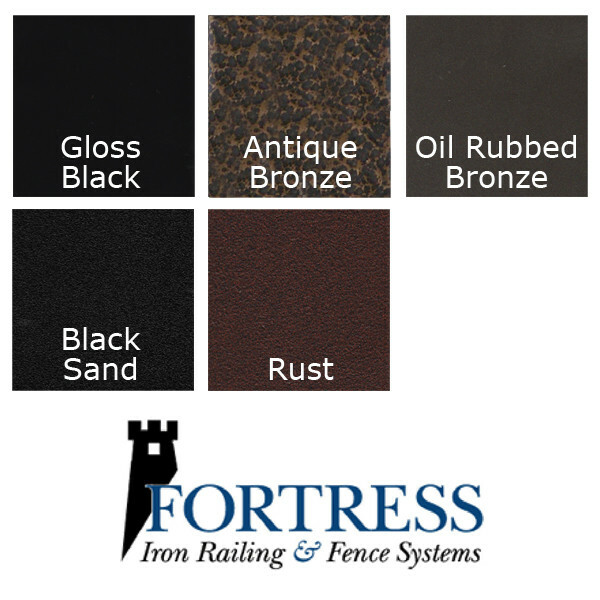 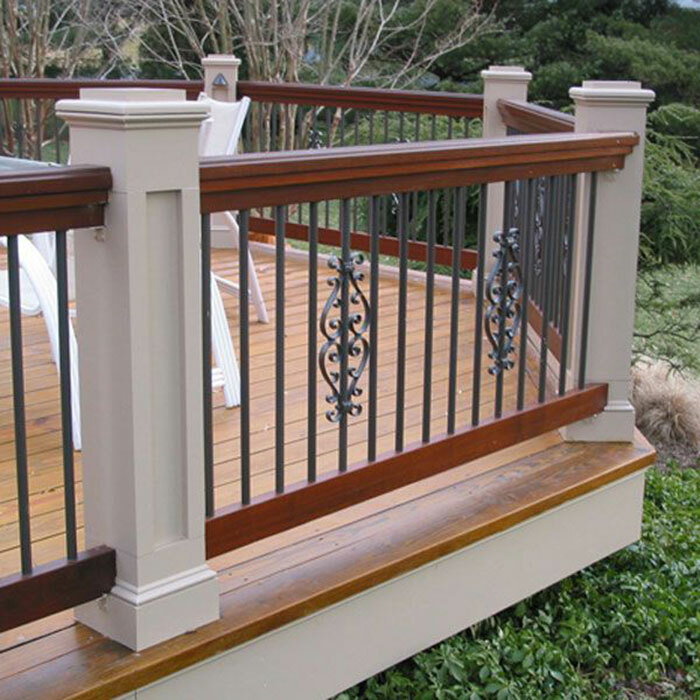 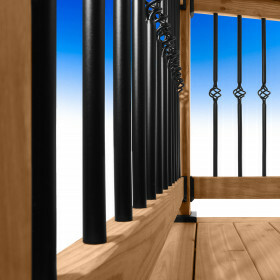 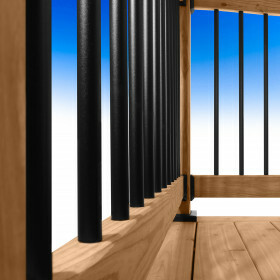 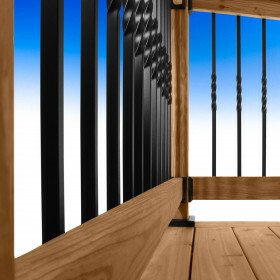 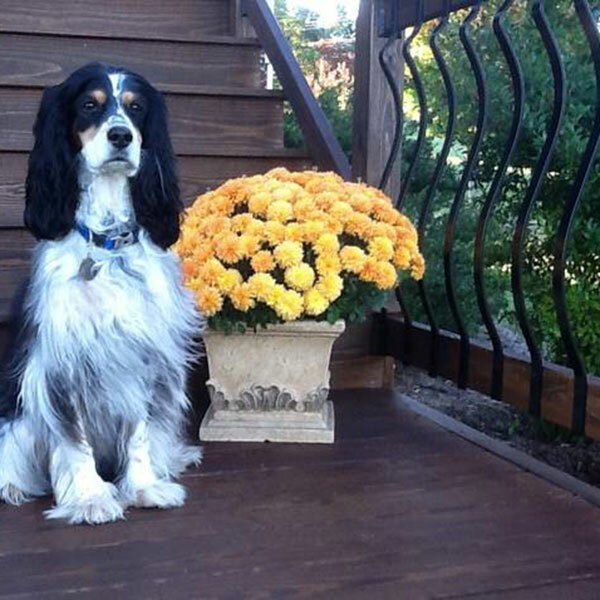 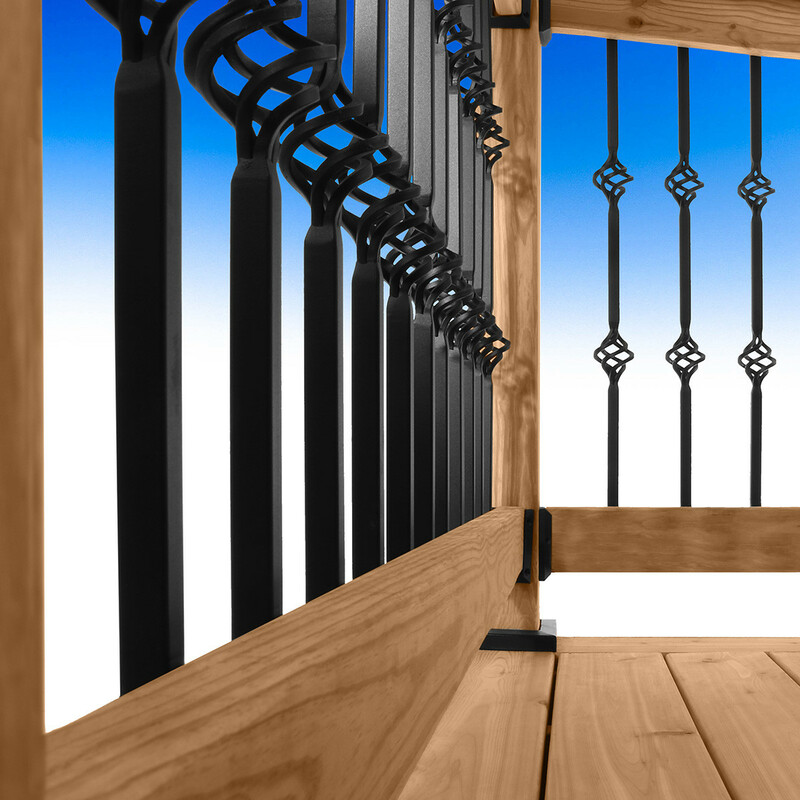 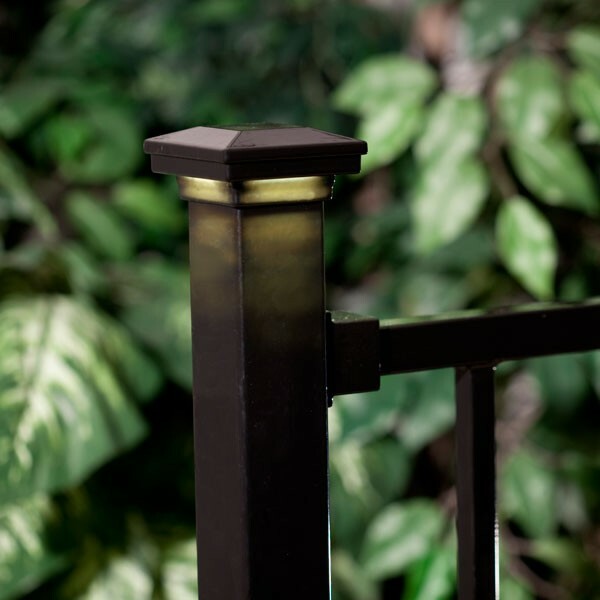 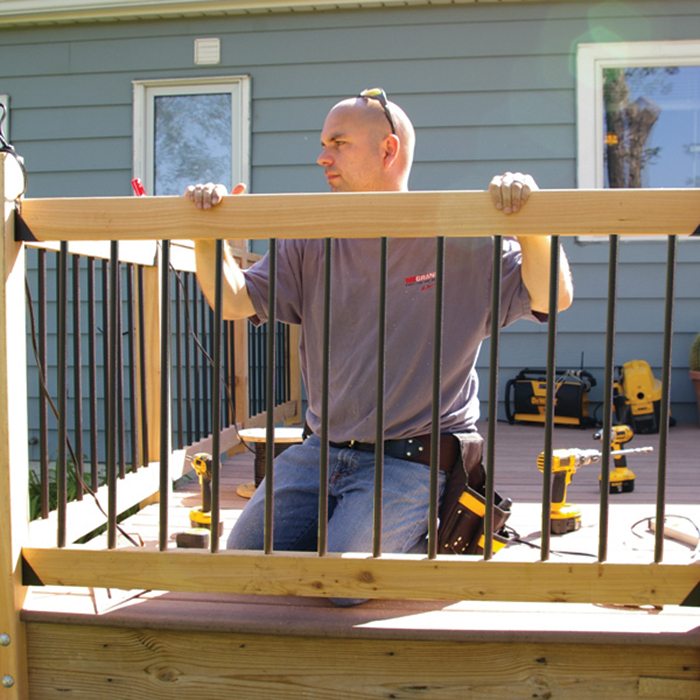 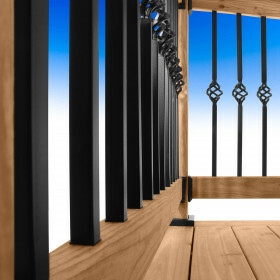 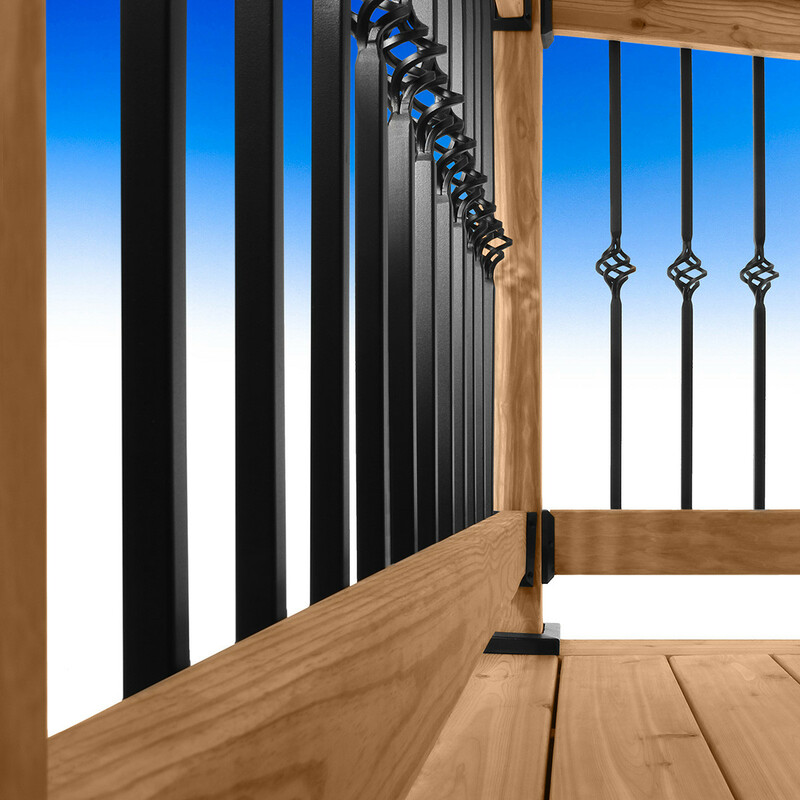 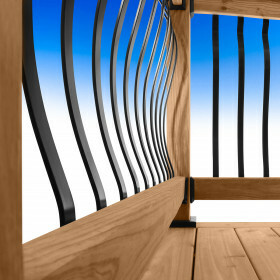 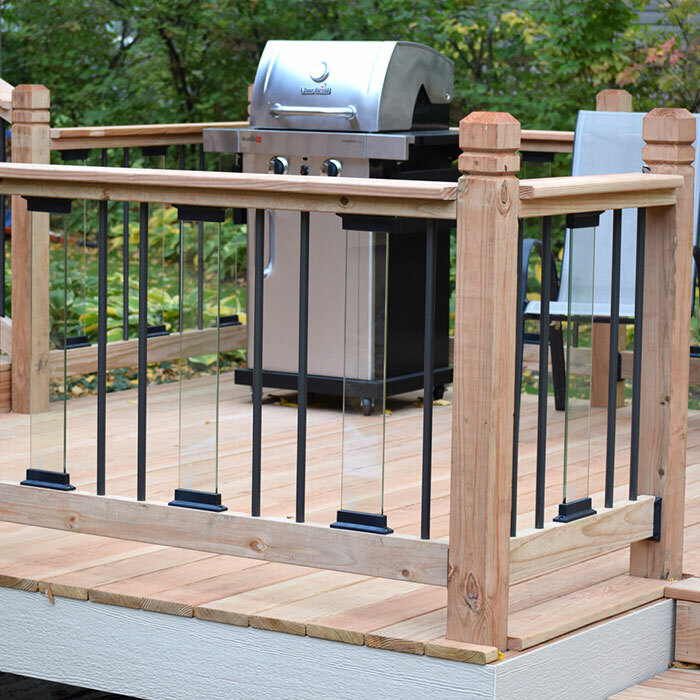 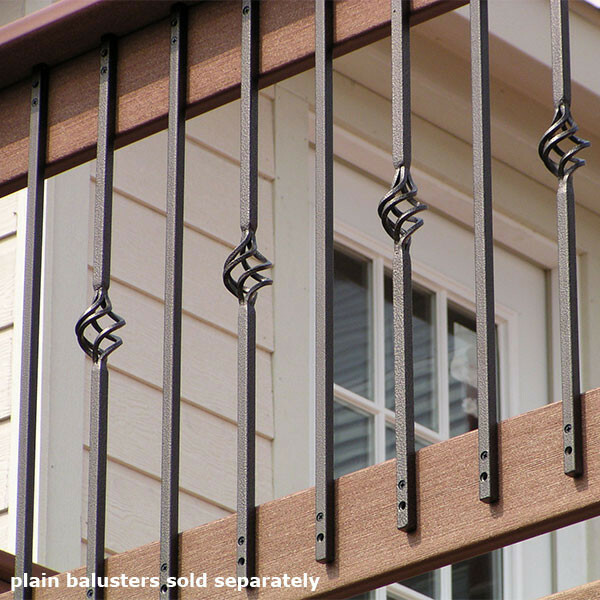 There's something eye-catching about the look of wrought iron on the outside of your deck rail. 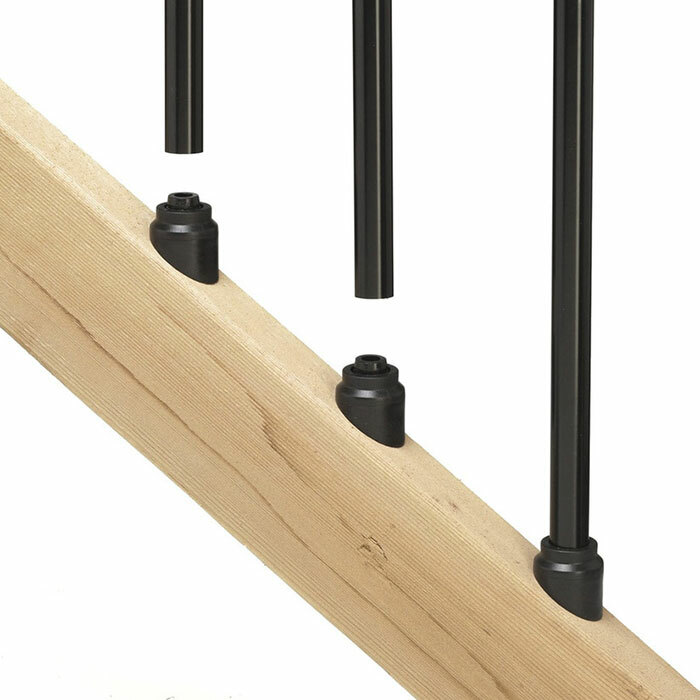 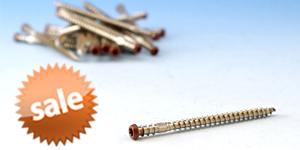 Fortress Iron Square Basket Pickets attach with pre-drilled holes and matching screws. 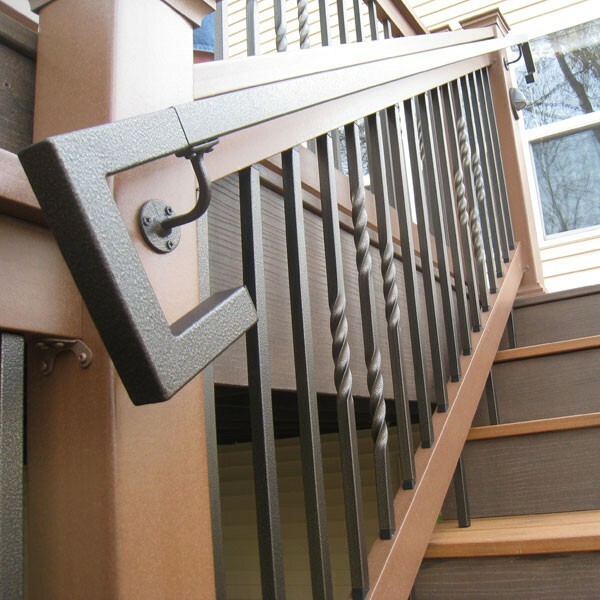 Made of 100% galvanized steel and powder coated, Fortress Iron Square Basket Pickets have the durability and weather-resistance you want. 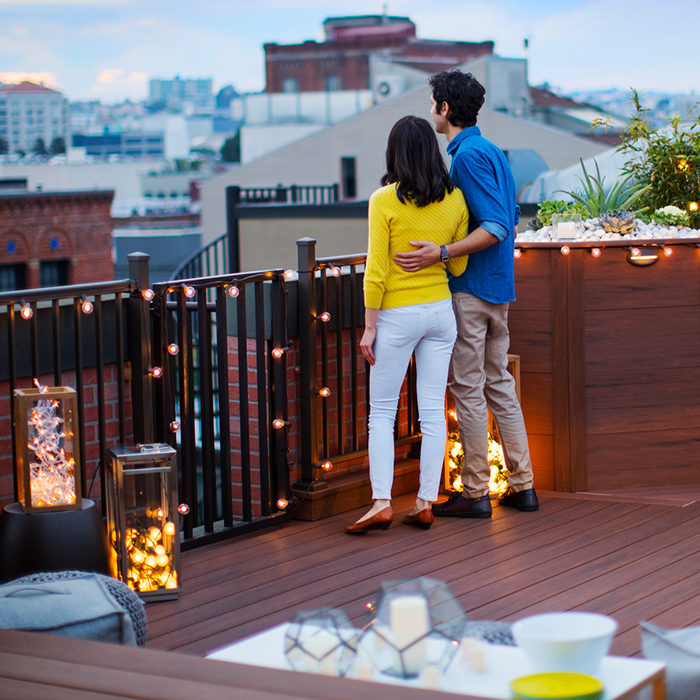 In the mood for something different? 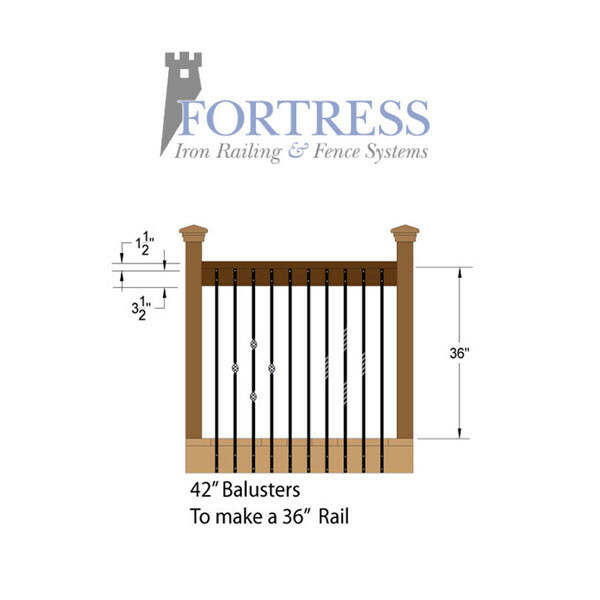 Fortress Iron also makes Square Twist Pickets, and Plain Square Pickets.